Ubisoft's third year of content for multiplayer melee fighter For Honor is now underway on Xbox One, PS4, and PC, bringing with it a new hero, a new map, and more. According to Ubisoft's recent deep dive video, the Year of the Harbinger (as this third year is known) will be "doing things a little differently", featuring a somewhat darker tone than usual. Year 3 will, once again, consist of four "seasons" spread throughout 2019, with the first and current season, Vortiger, set to run until the end of April. Season 2 stretches from May to July, Season 3 runs from August to October, and the final season begins in December. A special Hallowe'en event is planned for October. 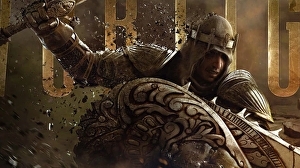 Those logging into For Honor today, however, can enjoy the first round of promised additions to the game, including hero reworks for the Shoguki, Warlord, and Peacekeeper, a new map - known as Harbor, and featuring a port town on the shores of Lake Eitrivatnen - plus the Black Prior, a new "heavy" hero, armed with a giant kite shield and longsword. Developer Pheonix Labs has announced that it will be migrating all existing accounts for its free-to-play co-op monster-hunter Dauntless over to the Epic Games Store later this year, and that all players will require an Epic log-in in order to continue playing after the move. According to Phoenix Labs' FAQ on the matter, Dauntless' account migration will begin "as soon as possible", then, once the process is complete, the game's current launcher will be retired. Those players that don't currently have an Epic Games account will first need to opt-in to the migration process, at which point it seems their Dauntless accounts will be converted automatically. 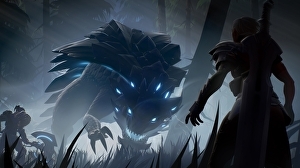 Those that do, however, will need to link their Dauntless and Epic accounts together manually closer to launch via the game's official website. As Phoenix Labs explains it, players' current progress, friend lists, guilds, and platinum (Dauntless' in-game currency) should all be carried over and integrated into Epic's account infrastructure. However, those players that would rather avoid the Epic Games Store are out of luck. The developer writes that "Migrating your account is the only way to ensure that all your progress from Dauntless carries over after we launch on console and the Epic Games store." Extremely relieved Mario fans have discovered a means of disabling the new, frequently infuriating, mid-air spin-jump feature implemented as part of Nintendo's recently released New Super Mario Bros U Deluxe on Switch. 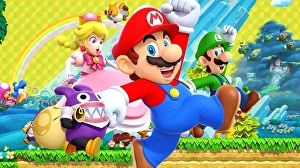 When New Super Mario Bros U originally launched on Wii U back in 2012, Mario's spin-jump move, used to to smash through enemies, initiate drifts while wearing the Flying Squirrel suit and more, could be triggered by shaking the controller or tapping the shoulder button. Either way, there was little danger of the jump being inadvertently performed during play. Paradox Interactive has unveiled its second season of content for Cities: Skylines on Xbox One and PlayStation 4, which begins today, January 31st, with the release of the Green Cities expansion. This eco-themed addition to the city-building base game introduces new visual options, environmentally friendly buildings, organic stores, new parks, plus new services, scenarios and policy options. "Go completely green as the urban population grows," explains Paradox, "and create more diversified cities with new specialized zones, such as self-sufficient residential areas in the inner city or IT clusters for office zones." The Green Cities expansion is available on its own for £10.39/$12.99 USD or as part of the aforementioned second season pass. 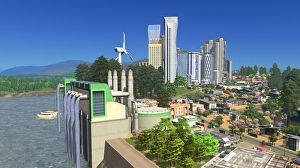 Imaginatively known as Season Pass 2, this will eventually provide, as the year goes on, access to the Green Cities, Parklife, and Industries expansion, the European Suburbia content creator pack (which also releases today for £3.99/$4.99 USD) , and the Country Road, All That Jazz, and Synthetic Down Radio music packs. Check out our video unboxing of two amazing collectibles from Mondo! The post CS Unboxed: Mondo’s Rocketeer Statue & Batman Animated Figure appeared first on ComingSoon.net. The post Sci-Fi Hero Quatermass Getting Big Screen Reboot From Legendary appeared first on ComingSoon.net. The post Tony Todd Has Not Been Approached for Jordan Peele’s Candyman appeared first on ComingSoon.net. Doctor Sleep will now be opening this year! The post WB Announces Release Dates for The Witches and Doctor Sleep appeared first on ComingSoon.net. The post Streaming Service The Criterion Channel Lands April 8 Launch Date appeared first on ComingSoon.net. The post Jeff of the Universe: David Mirkin Developing Sci-Fi Dramedy at YouTube appeared first on ComingSoon.net.